Tremenda patada en esta foto. 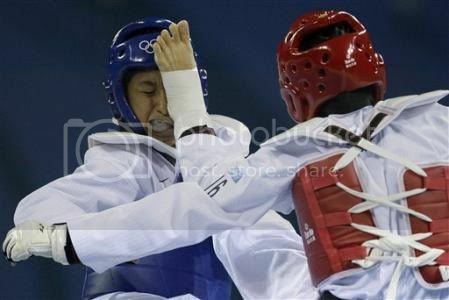 Tran Thi Ngoc Truc, right, of Vietnam, kicks Theresa Tona of Papua New Guinea, during a preliminary match for the women’s taekwondo -49 kilogram class at the Beijing 2008 Olympics in Beijing, Wednesday, Aug. 20, 2008. LOOOOOOOOOOOOL toma sandwich tu mantequilla!!!!!!!!!! !